Don't miss this gripping, emotional prequel to the hit Netflix series, Stranger Things! The never-before-told backstory of the beloved Dig Dug maven, Max Mayfield, written by New York Times bestselling author Brenna Yovanoff. 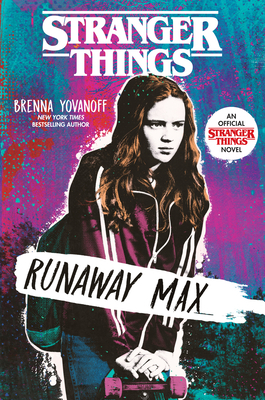 This must-read novel, based on the hit Netflix series, Stranger Things, explores Max's past--the good and the bad--as well as how she came to find her newfound sense of home in Hawkins, Indiana. Brenna Yovanoff was raised in a barn, a tent, and a tepee, and was homeschooled until high school. She spent her formative years in Arkansas, in a town heavily populated by snakes, where sometimes they would drop turkeys out of the sky. When she was five, she moved to Colorado, where it snows on a regular basis but never snows turkeys. She is the NYT Bestselling author of The Replacement, The Space Between, Paper Valentine, and Fiendish. Her most recent novel, Places No One Knows, is out now. She currently lives in Denver.